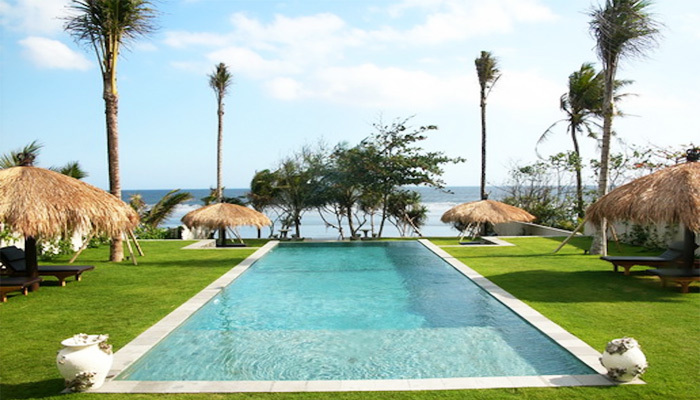 Only 2 minutes walk from the beach, this dazzling villa located in Echo beach, Canggu is for sale! 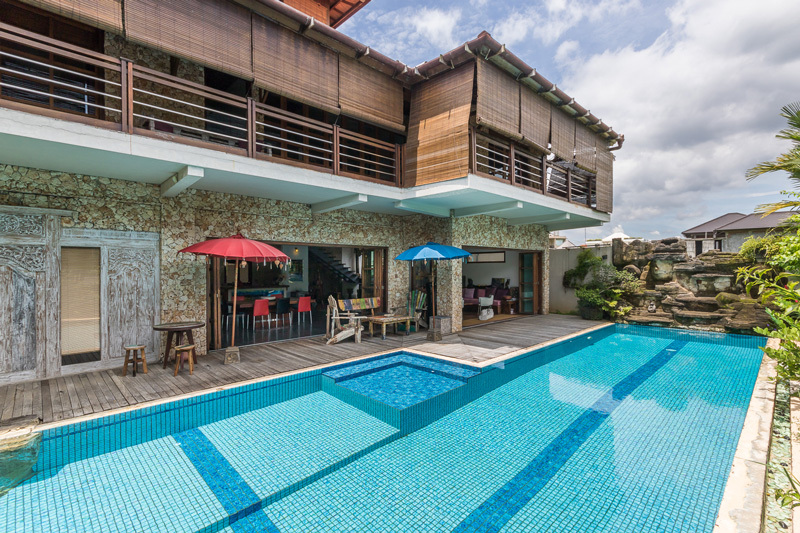 Canggu is an upcoming sought-after area in Bali with the famous surf site in Echo Beach and Batu Bolong and the great restaurants and bars such as Deus, Betelnut, La Dunia and Oldmans. Built in two levels on 821 m2 of land, this house possesses three spacious bedrooms where one is placed downstairs and two others upstairs, all furnished and airconditioned with the bathrooms featured. 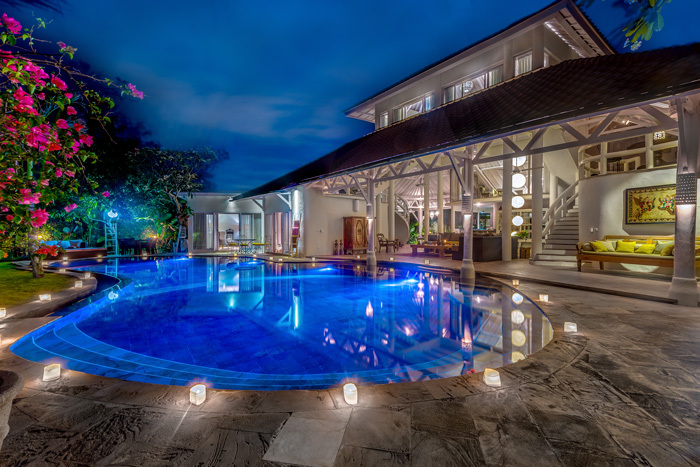 The ground floor covers the living area, dining corner and kitchen with glass doors that give view to the beautiful garden with its swimming pool. The two bedrooms upstairs are large enough to have a seating corner for reading. A generous balcony with sea view in front of both bedrooms is perfect for your relaxing time.